Construction: M.E.C.’s quick clamps have a single-body construction, with the only separate pieces being flange locating pins and mounting hardware. Operation: Opening and closing quick clamps is simple and requires only one hand. 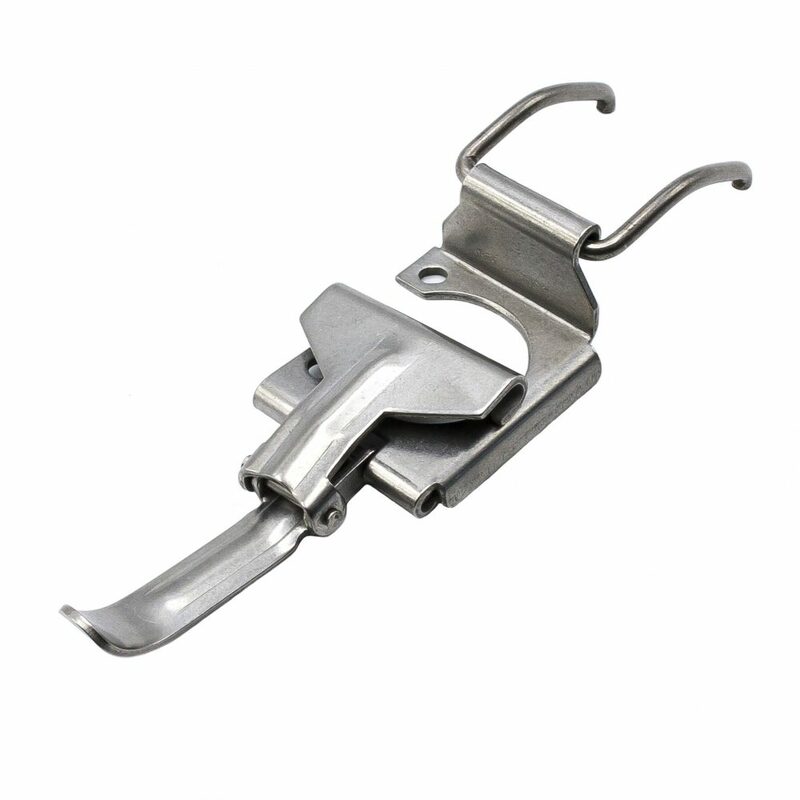 The clamping action can be toggled and is self-holding once the handle is closed. 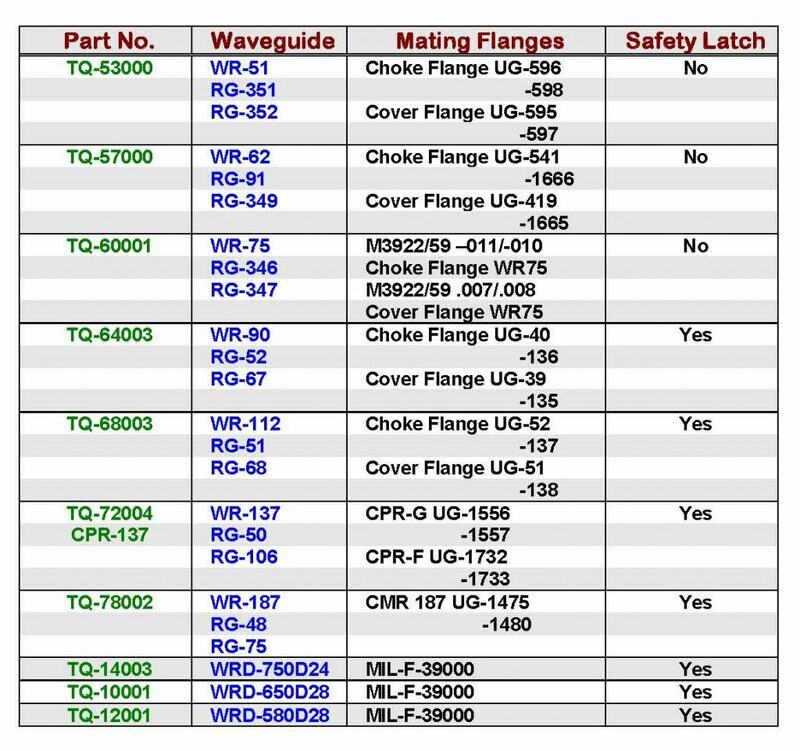 Safety Latch: Safety latches preventing quick clamps from accidentally opening are available for the waveguide sizes listed in the table below. These latches are not part of the holding assembly and must be ordered separately. Safety latches automatically engage when the quick clamp is closed and must be tripped manually to open. Size: Quick clamps for the waveguide sizes listed in the table below are readily available. Other sizes can be supplied upon request. (1) Select desired part number.